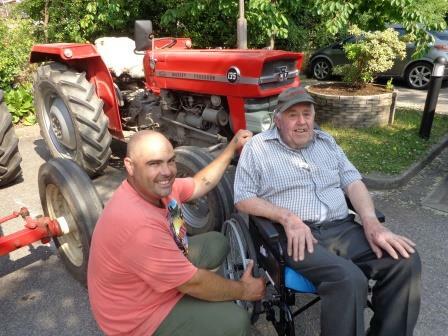 Residents at Tuxford Manor Care Home enjoyed a visit from a local tractor rally. There were a wide variety if the vehicles on display outside the home for all to see. The visit was a treat for everyone, with some delighted tractor enthusiasts asking lots of questions and getting up close to the huge machines.